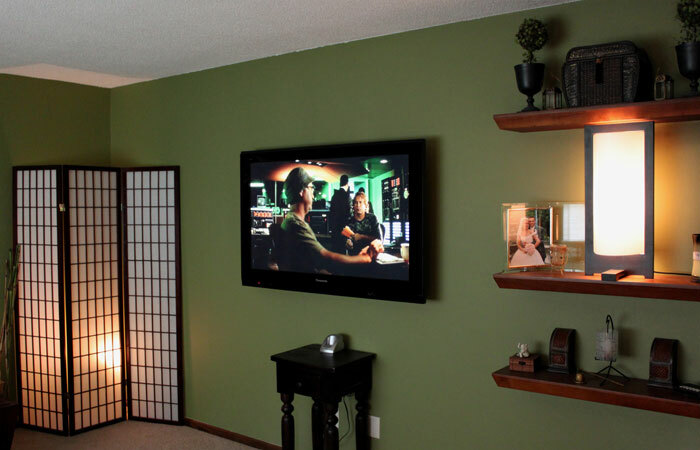 Homelink Entertainment serves customers throughout the Twin Cities area. 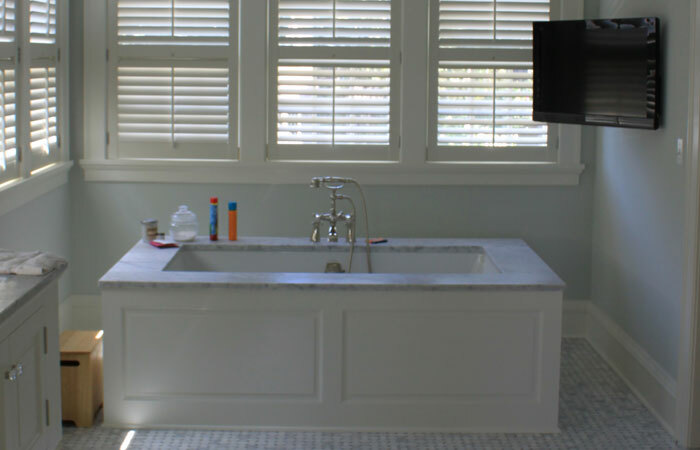 Click on the thumbnails below for larger photos and details about some of our recent projects. 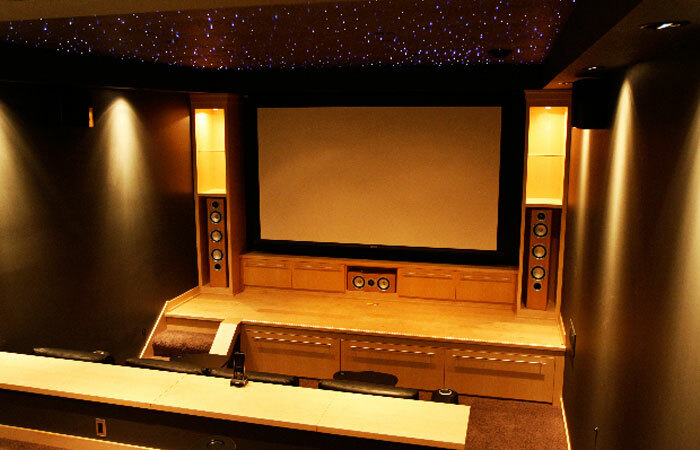 This custom home theater has a TV strictly for playing Wii or singing karaoke. 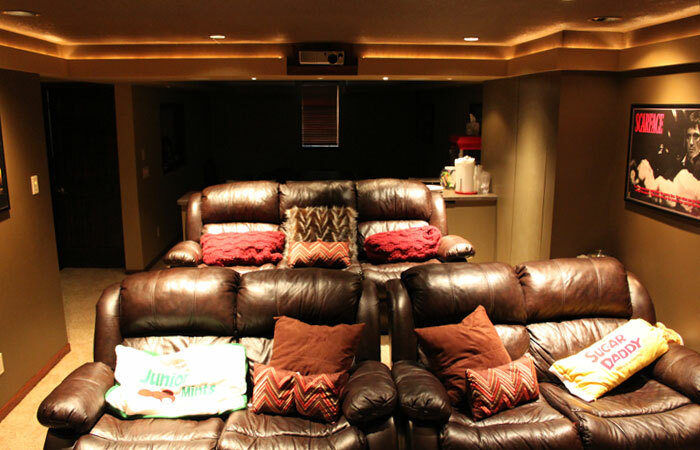 With the push of a button, the projector screen raises back into the ceiling and the karaoke TV is revealed. 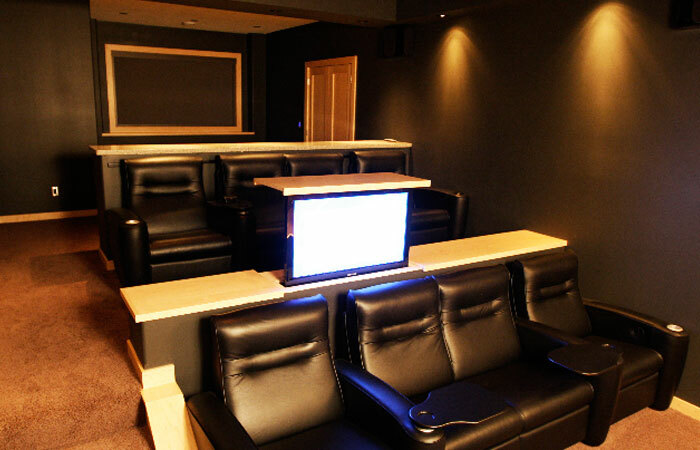 Here is a look at the home theater from the stage with the karaoke TV revealed. 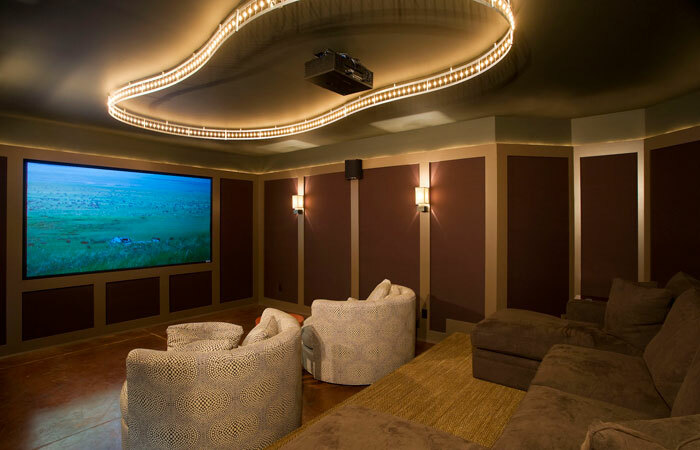 This home theater comes complete with a LED lit star ceiling that we custom installed. With the press of a button, the projector turns on, the screen drops, the fiber optic stars turn on, the shades are drawn, and the movie starts. Popcorn is the only thing you have to provide. 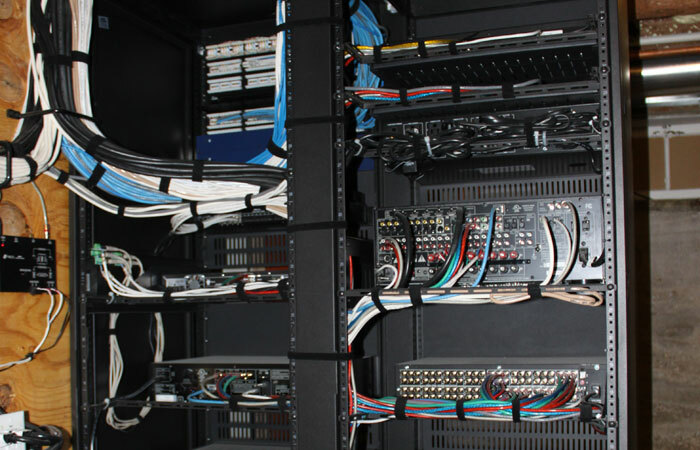 We can relocate your AV equipment to achieve a nice, clean look without wires or visible components. 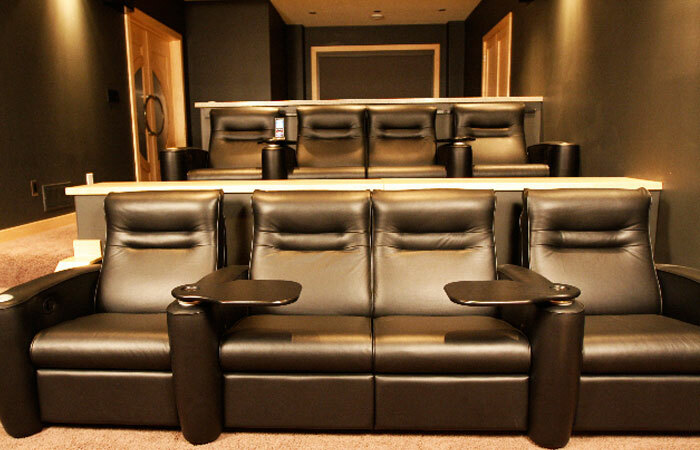 Kick back and relax with 7.1 surround sound. Don’t worry where you kids are when you can enjoy family night at home. 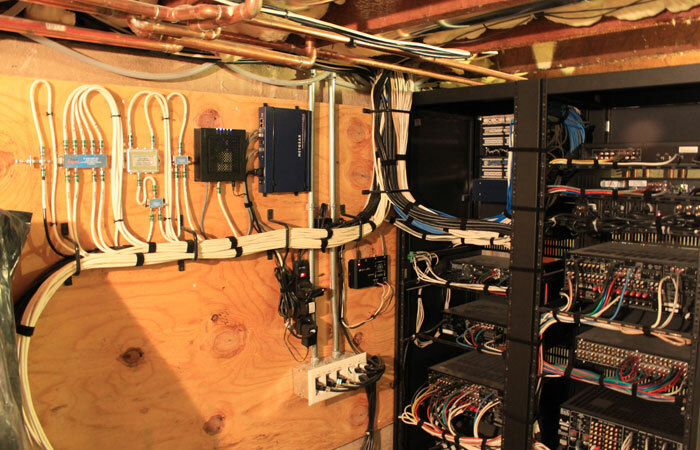 Whole house automation can be done from anywhere in the home. 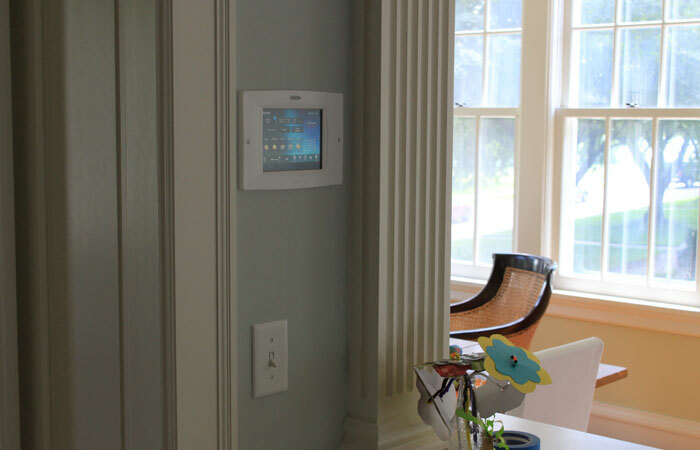 With the touch of one button, the whole home environment can change. Have you ever seen a bunch of wires that look like a rat's nest? We make sure to carefully label and layout our wiring. 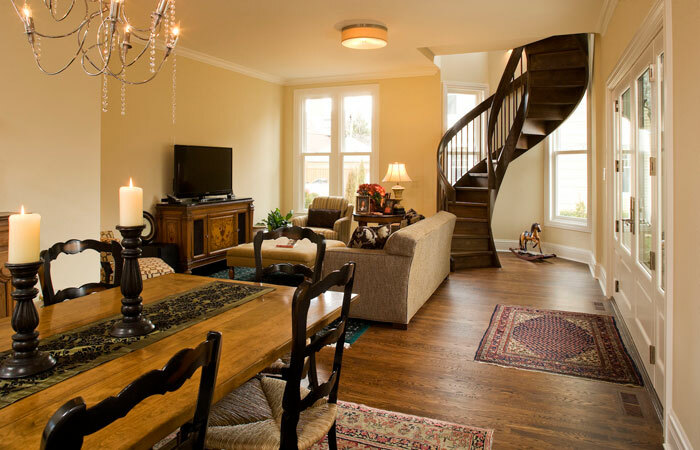 We pay close attention to detail and take pride in our work. 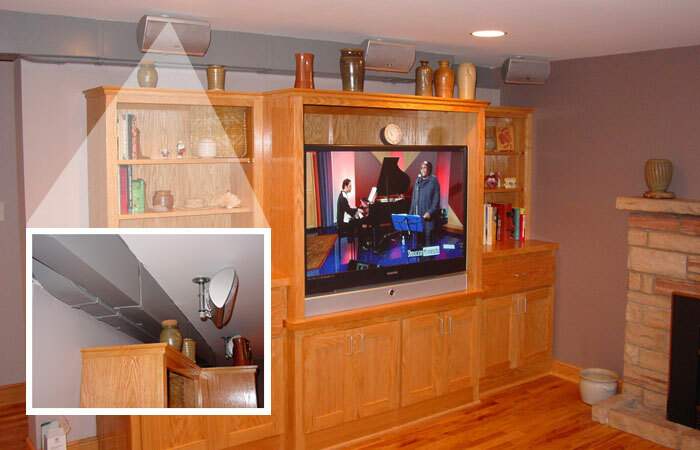 Notice the custom speaker mounts and how they blend in with the environment and that there are no visible wires. Esthetics are important to us. 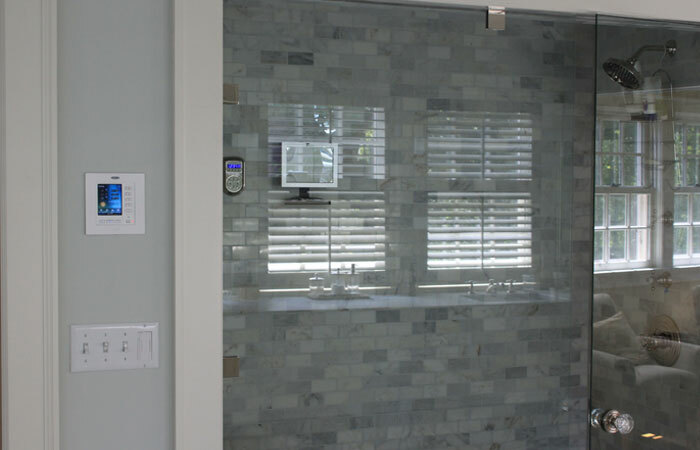 We make sure the design is symmetrical and we work with every trade to make that happen. Here are speakers mixed in with recessed cans. The cabinet was designed so that the speakers had three separate enclosed spaces to improve the speakers response. 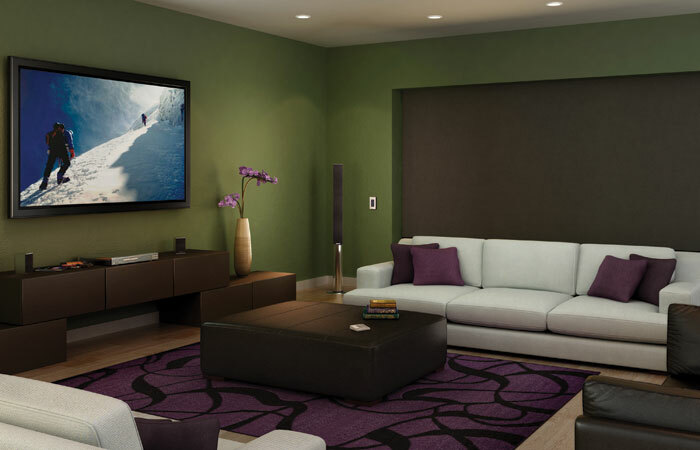 An in-wall controller can operate the whole home with a push of a button. 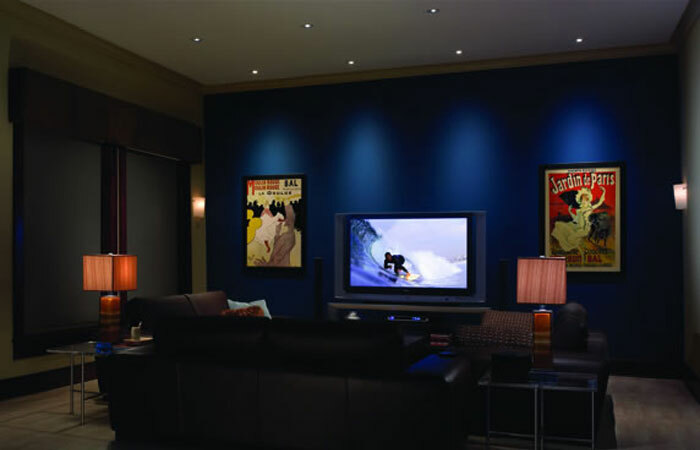 Stealth Acoustic speakers blend in with the drywall to preserve the look of the home. 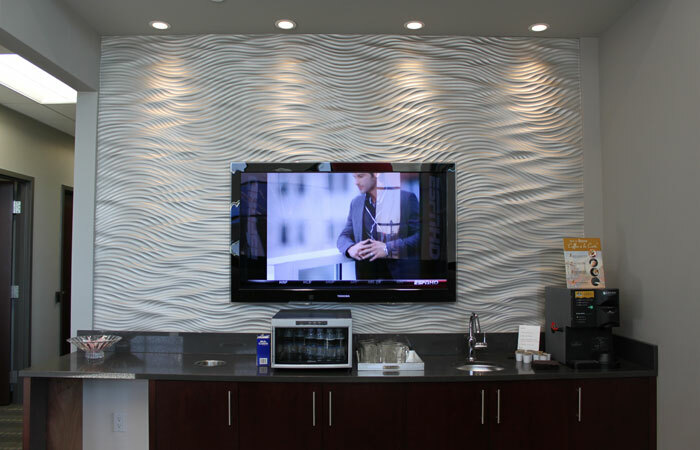 We custom made the wall panels and hid the front speakers in the wall for a seamless look. 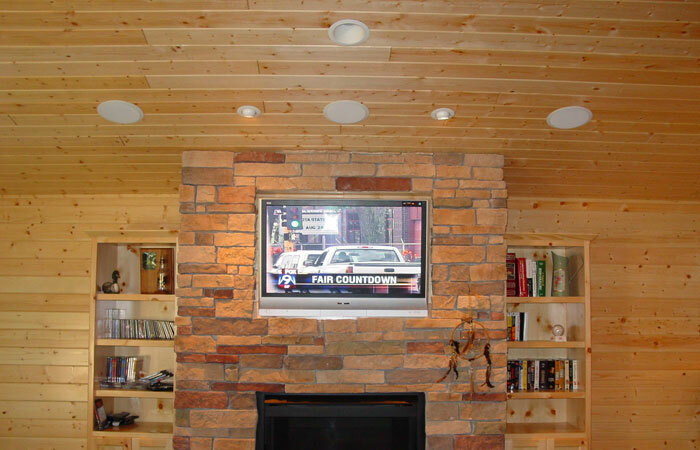 Outdoor TV’s are becoming more popular and are able to run year round - even in Minnesota! 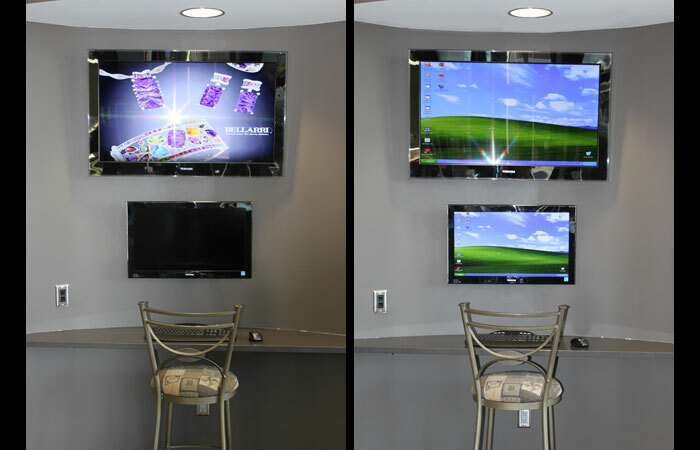 One TV/One Computer Monitor: Watch the customer design their custom wedding ring on the larger TV. 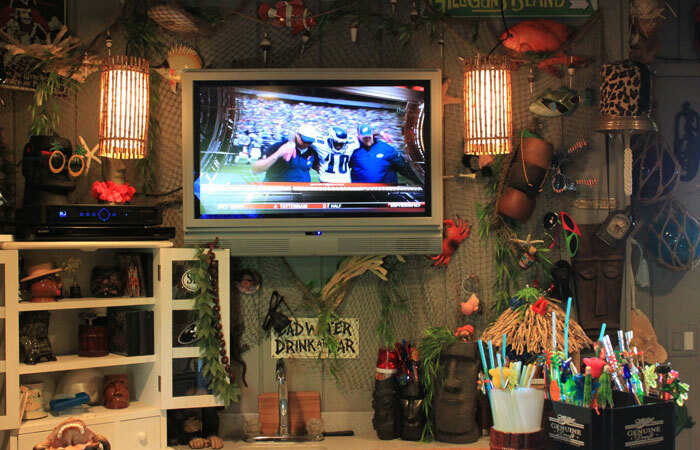 Lounge TV to catch up on your Sportscenter. 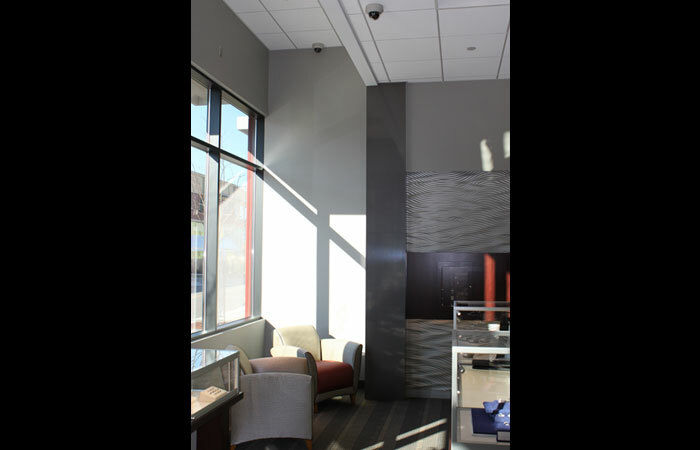 Security cameras provide security for the business and its customers. 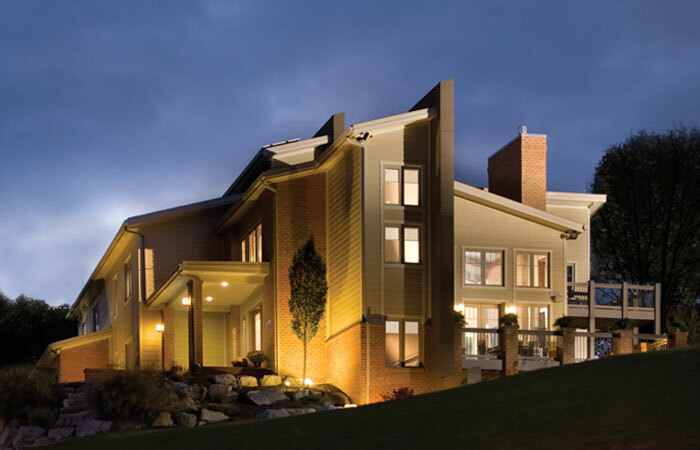 Our partner company, JZ Electric, offers electrical services for your home and business. © Copyright 2010 Homelink Entertainment. • All Rights Reserved.